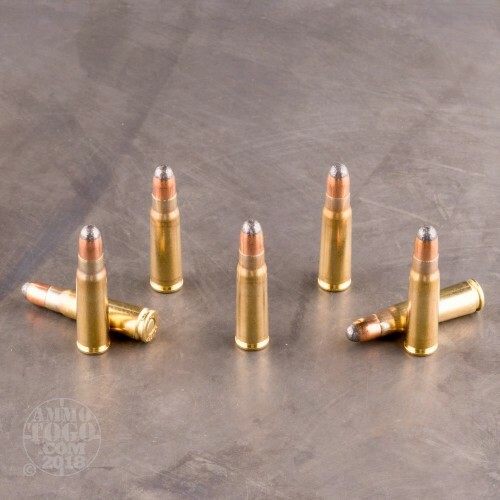 Whether you like to hunt with your AK-47 or keep it handy in the event that life attacks, you’ll find that this 7.62x39 cartridge’s projectile has a lot to offer. It’s a round nose bullet, so it delivers tremendous energy at the point of impact and penetrates targets with relative ease. It’s also a soft point, so it’ll warp to substantially wider than its original dimensions as it tunnels through a soft target. 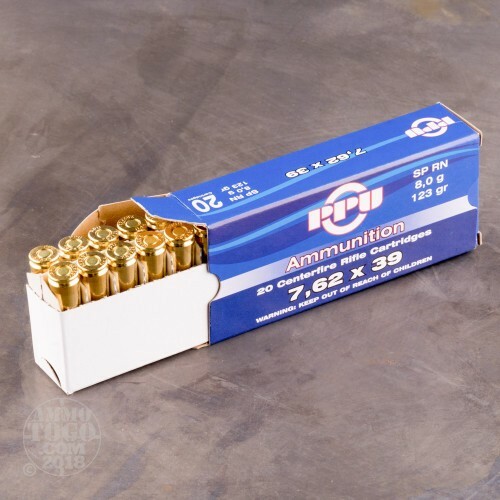 This round’s brass casing is a nice departure from the ubiquitous steel cased ammo you often see marketed for AKs. It’s optimal for handloading, so stock up on bullets as well if you like to keep engaged at your reloading bench. This round also features a non-corrosive Boxer primer -- while it’s true that an AK is tough enough to eat nails, you should still treat yours well when you’re able. 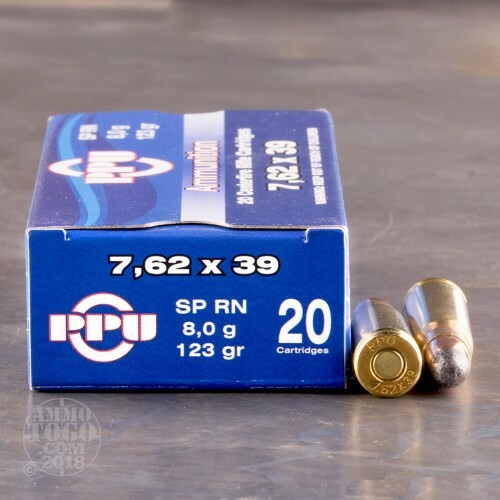 Based in Užice, Serbia, Prvi Partizan not only supplies ammunition to their nation’s military, but also to those of others throughout the world. 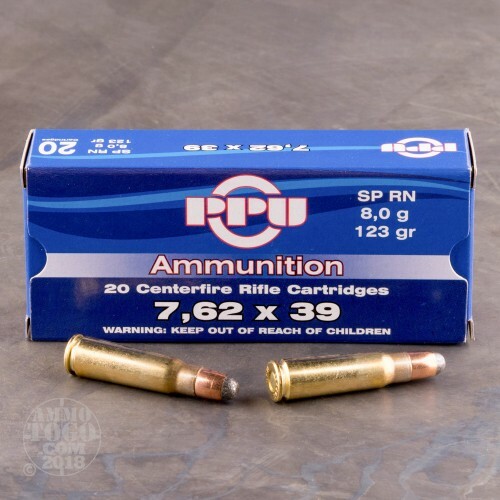 Their products possess a well-deserved reputation for quality -- invest in these 1,000 rounds and either confirm what you already know about them, or discover it all for yourself!